POPE, JAMES COLLEDGE, entrepreneur, landed proprietor, land agent, and politician; b. 11 June 1826 in Bedeque, P.E.I., second son of Joseph Pope* and his first wife, Lucy Colledge; d. 18 May 1885 in Summerside, P.E.I. James Colledge Pope’s father, a native of Plymouth, England, immigrated in 1819 to Prince Edward Island. In the company of his older brothers Joseph became involved in the timber business at Bedeque, Prince County. By 1830 he was elected to the assembly, where he soon became the leading figure among those members opposed to a radical solution to the land question, serving as speaker from 1843 to 1849. The elder Pope earned a reputation for violence, even scurrility, in debate, and in the course of his most serious controversy, with Lieutenant Governor Sir Henry Vere Huntley* in 1846–47, he demonstrated a vindictiveness which he apparently transmitted to his sons, William Henry* and James. Joseph changed political allegiance in 1849, became a Reformer, and was appointed colonial treasurer when responsible government was conceded in 1851. James received his early education on the Island, and about the age of 14 was sent to Saltash, near Plymouth, to attend school. Upon his return, he entered the family business at Bedeque. Although maturing in an intensely political environment, he does not appear to have been strongly attracted by politics until the late 1850s. He left Prince Edward Island to seek gold in California in 1849 as part of a group of 40 Island adventurers who purchased a brig, the Fanny, to make the trip. A vivid narrative account by a participant, Stephen MacCallum, describes Pope as “a stoutly built, light-haired young man” who greatly impressed his shipmates with his energy and daring. He was “strong and determined, with not a lazy bone in his body,” and “not the man to abandon his purpose.” The expedition made no one rich, and Pope contracted “camp fever,” returning home to convalesce. On the Island, James re-entered business with his father at Bedeque, and established his own store at nearby Summerside. He also engaged in such enterprises as running a packet boat between Bedeque and Shediac, N. B., a lucrative contract for which there was keen competition. No doubt with his father’s support, he was appointed to several minor positions, including in 1851 that of collector of customs for the district of Bedeque (which included Summerside); he took as fees five per cent of the duties collected, which brought him approximately £100 to £120 per annum. In his own time, James was frequently referred to as a shipbuilder, but it would probably be more accurate to describe him as a contractor for ships; although he had worked in his father’s shipyard at Bedeque in the 1840s and hence was familiar with the principles of shipbuilding, he does not appear to have been personally involved in the actual construction of vessels after the mid 1850s. Over the years he became increasingly distant from the process, and on 28 Jan. 1867 sold his shipyards at Bedeque and Summerside for £650 and £2,500, respectively, to members of the rising Holman family of Summerside. He owned shares in some 117 deep-sea and coastal vessels registered between 1853 and 1877, and was the sole owner of the vast majority of these although he rarely held them for a long period. James functioned primarily as a broker of ships, and his father, who lived from 1853 to 1868 in Liverpool, England, was instrumental in selling them there. For example, James registered 12 ships in his peak year (1864), ten of which he sold through Joseph in England. In both number of ships and total tonnage James Pope stood third among Island owners of the 19th century. James’s economic interests extended far beyond ship-brokerage, for he was involved in almost every type of activity where trade was possible and where money could be made: agriculture, fishing, real estate, the carrying trade, retailing, money-lending, and even ownership of the telegraphic link between Summerside and New Brunswick. To illustrate the diversity of his interests within agriculture alone: in 1856 he purchased for $10,000 “the Mann Estate,” the northern moiety of Lot 27, for which his father had long been the agent; he served as land agent for other proprietors, including the controversial Father John McDonald*; he maintained a farm where he owned a large herd of cattle; and he speculated extensively in cargoes of produce. Virtually every Summerside merchant or entrepreneur of consequence was indebted to him at some point in the 1860s, and he claimed in 1871 that the annual value of his transactions with one Charlottetown merchant alone, Jedediah Slason Carvell, exceeded the entire colonial revenue. Particularly in the 1870s, he also had extensive interests in the area around Cascumpec Bay, some 40 miles west of Summerside. In 1876 a friendly newspaper stated that “He keeps hundreds of poor men constantly employed.” He was one of the most prominent economic figures in the colony, a man whose power could also inspire fear. In April 1864, when union of the colonies was first seriously discussed in the assembly, a difference of opinion between the two brothers surfaced. 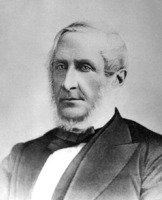 William, who had been elected to the assembly in 1863, was an enthusiastic advocate first of Maritime union and then of a general British North American union. From the beginning, James expressed his doubts. Focussing on economic considerations, he could foresee no advantages for the Island. 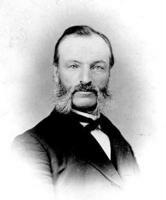 He was not a delegate to the Charlottetown and Quebec conferences, and was not involved in the bitter public controversies over confederation which erupted in November–December 1864 among the Island’s leading executive councillors. Although in the ensuing cabinet crisis he backed the confederate premier, John Hamilton Gray, against the anti-confederate attorney general, Edward Palmer, personal factors may have played a decisive role. William was in full agreement with Gray, and in February–March 1863 James had supported Gray’s ousting of Palmer from premiership. The dispute late in 1864 led to the resignation of both Gray and Palmer from the Executive Council, and on 7 Jan. 1865 James Pope became premier. It is questionable whether Pope wanted the premiership, for at this stage in his career he was primarily a businessman. There is no evidence that he actively sought the post, but Palmer had been discredited by losing a polemical battle with W. H. Pope, Gray did not wish to lead a government which could not carry the Quebec terms, and for a variety of reasons W. H. Pope was unacceptable to large segments of the Island population. At least in the House of Assembly, James behaved as a caretaker, particularly in the session of 1865. William strongly supported confederation in assembly debates, but James said that although “approving of the abstract principle of the proposed Union . . . the details, as adopted by the Quebec Conference, do not offer . . . fair terms to the people of the Island.” In 1866 he presented to the assembly the famous “No terms Resolution,” which stated that no satisfactory union “could ever be accomplished,” and which led to William’s resignation from the government. 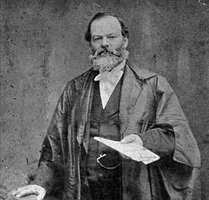 James was careful to say that his personal opinion on confederation was not so dogmatic as the resolution he sponsored: “Had he consulted his own individual views . . . he would have modified [the resolution] . . . he still thought that terms might be proposed which would be advantageous to this Island.” But, he went on, since public opinion was so overwhelmingly opposed and since there were fears that union might be forced upon Islanders without their consent, he had decided to present a resolution which left no room for misunderstanding. Within months James demonstrated just how flexible his views were. 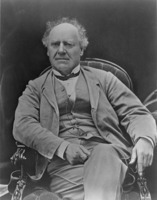 He rejected Palmer’s suggestion to send an anti-confederate delegate to London in 1866 to support Joseph Howe*, and when in London himself in August or September on private business, although apparently making no effort to meet Howe, he persuaded Nova Scotian and New Brunswick delegates to the impending final conference on confederation to pledge their support for an $800,000 grant from the federal treasury to buy up proprietary lands on the Island. On his way home at the end of September, he sent a letter to Samuel Leonard Tilley* suggesting that “a small Railway or Canal” might prove persuasive. But in Prince Edward Island the $800,000 proposal was widely interpreted as a last-minute attempt at bribery, and its major political results were to divide the Tories further and to undermine James Pope’s credentials as an anti-confederate. The Tories lost the election of 1867 decisively, and indeed the Popes and Gray did not contest their seats. Many, including Palmer, believed that the major reason for the rejection of the government was their summoning of troops from Halifax in mid 1865 to suppress the Tenant League, which was pledged to resist collection of rents. James Pope, himself a land agent and small proprietor, although not known for harshness in dealing with his own tenantry, was unequivocal in stating that the measure had been necessary to maintain law and order; in the following session he had declared that his government was “prepared to abide by the consequences.” On 1 July 1866 the Pope government had, however, purchased the huge Cunard estate following the death of Sir Samuel Cunard* in April 1865, comprising more than 15 per cent of the Island’s land mass, thus opening the way for approximately 1,000 tenants in 20 townships to become freeholders. In retrospect, this may have been the decisive turning-point in the struggle over the land question, for the terms of the debate were never quite the same again. The Island government was to make at least one significant land purchase in every succeeding year through 1871; in 1868 it purchased for £4,089 Pope’s 7,413-acre estate, on which 124 tenants, mostly Irish Roman Catholics, were living. In virtually all cases their terms had been 999-year leases at an annual rental of 1s. per acre. Yet this major accomplishment of purchasing the Cunard estate had come too late to aid Pope’s government in the election of February 1867, for it was identified with proprietary interests. In fact, among the general population the Tenant Leaguers received more credit for the purchase than did the government: their organized and calculated defiance had made rents difficult to collect, a factor in persuading the previously recalcitrant Cunard family to sell. The confederate Tories, of whom James was generally considered to be one, were faced with a difficult task after the election. They were in eclipse within their own party, and following the death of Edward Whelan in December there was no prominent Liberal who advocated union of the colonies; hence there could be no hope of engineering a realignment of parties on the issue. Even those confederate politicians who survived the election, such as the new Tory leader in the assembly, Thomas Heath Haviland* Jr, did so only by pledging to take no action on confederation without first submitting proposals for union to the electorate. In this situation, confederate strategists began looking for another issue by which to return to office; they were to find it in the question of public support for denominational schools. In 1868 the Liberal government refused the demands of the ultramontane bishop of Charlottetown, Peter MacIntyre*, for public grants to Roman Catholic educational institutions. The Liberal party had always strongly defended the non-sectarian character of the educational system, although usually against ultra-Protestants. When the bishop and such Roman Catholic Liberals as Executive Councillor George William Howlan* made it clear that they were not satisfied, W. H. Pope’s Islander endorsed a policy of limited concessions to MacIntyre. This was a particularly startling development because in the early 1860s William had been perhaps the colony’s most outspoken critic of the doctrines, practices, and objectives of the Roman Catholic Church. J. H. Gray followed William’s lead. When an assembly seat for Summerside (Prince County, 5th District) fell vacant in late 1868, James Pope announced his candidacy and published an electoral card promising aid to all “efficient schools” open to government inspection, regardless of who controlled them; in the same card he claimed to be “opposed to the endowment of any Sectarian institution.” The active support of the Islander, Haviland, and the bishop was insufficient to prevent Pope’s defeat; Angus MacMillan, a political novice, received 58 per cent of the Roman Catholic and 59 per cent of the Protestant vote. 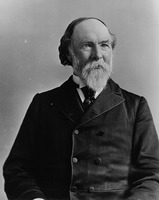 Although the time was not ripe for political realignment in November 1868, less than two years later James Pope became premier on the basis of an alliance between Conservative confederates and Roman Catholic Liberals. In the general election of 18 July 1870 the Liberals, led by Robert Poore Haythorne*, obtained a majority of the seats but, owing largely to Haythorne’s unskilful leadership, they split over the school question a month later. 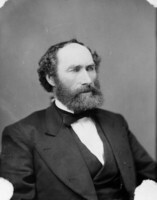 On 10 September James Pope, who had resumed his party’s leadership and successfully contested Prince County, 4th District, formed a coalition government in partnership with Howlan and a group of Roman Catholic members who had seceded from the Liberal caucus. Yet, in the Byzantine world of Island politics, the two factions were bound by a mutual self-denying pledge: there would be no action on confederation or the school question until the issues had been presented to the electorate. Thus Pope had returned to power on the basis of an expression of sympathy with the principle of aid to sectarian schools but without having to make an explicit commitment to do anything. At the same time, the anti-confederate group within the Tory party had been severely weakened by the defeat of its leading spokesmen, Palmer and David Laird*, at the general election. The Popes had constructed a new political juggernaut, one which would be out of power less than one year between 1870 and 1876. In the words of Frank MacKinnon, describing the second Pope government, “Religion and union being barred, they made the railway their politics.” Although the construction of a railway had not been seriously discussed at the election of 1870, there was a sudden upsurge of popular enthusiasm for the project in early 1871. W. H. Pope had long been an advocate of the iron horse, and James introduced railway legislation in the latter year. He spoke passionately and at length on the economic advantages of rail transportation, citing statistics and examples from New Brunswick to Mauritius, predicting indirect as well as obvious economic benefits, drawing upon personal knowledge of all sectors of the Island economy and his own experiences during his frequent business trips to England, and even forecasting a huge influx of American tourists. He was an aggressive mid-19th-century entrepreneur, and the railway clearly excited his imagination. In his opinion, “as business was then carried on in the commercial world, no country could possibly keep pace with the times, without her Railways.” But the Prince Edward Island Railway rapidly proved to be a greater financial burden than the local treasury could bear, and by early 1873 virtually everyone had accepted union with Canada as the colony’s only practicable alternative to bankruptcy. For Pope the immediate political consequences of the railway were disastrous. Even before the deadline for receipt of tenders, Island public opinion showed signs of alarm. On 5 July 1871 the anti-railway David Laird defeated James Duncan, the newly appointed chairman of the railway commission, in a by-election. By March 1872, when Pope again met the assembly, his majority had melted away, and his government was defeated. 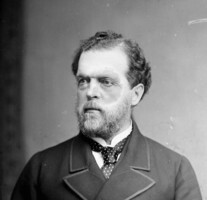 In a general election held on 4 April, the Liberals won an overwhelming victory; to retain a seat in the assembly, Pope was forced to retreat from strongly anti-confederate Bedeque to Tory Charlottetown, where he was virtually certain to be elected. 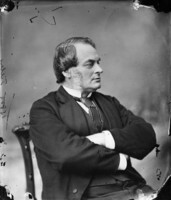 The campaign against Pope and the railway was led by two anti-confederate former Tories, Palmer and, particularly, Laird. Through his newspaper, the Patriot, and on the platform, Laird made two main allegations, aside from the undeniable fact that the question had never been submitted to the people at the polls: that the covert raison d’être of the railway was to bring the Island into confederation, and that its construction involved massive corruption and disregard for the public interest. 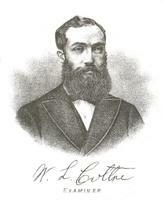 The charges of a corrupt “railway ring” were never substantiated, and the claim that the contractors were guilty of bad judgement, if not incompetence and greed, which greatly increased the cost of the project, was investigated in mid 1872 by two American engineers appointed by the second Haythorne government. Despite the obvious desire of their employers to find evidence of malpractice, the investigators instead praised the conduct of Pope’s contractors. The most serious criticisms which could be justly levelled against the former government appear to have been that they proceeded without an adequate survey and that their estimate of a 120-mile road between the termini of Georgetown and Alberton, which they made in assembly debates and in the contract, was 27 miles short of the road as actually constructed. Perhaps more important in the long run is the suspicion Pope knew that the cost of the project, however reasonable in terms of the job to be done, would be the means of driving the Island into confederation. No decisive evidence has survived, although it is unlikely that Pope, an astute businessman, could have failed to recognize what rapidly became apparent to the confederate lieutenant governor, William Cleaver Francis Robinson*, and most anti-confederate politicians. 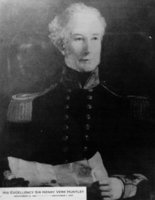 It is certain that James’s brother William was willing to contemplate any means short of military invasion to force the Island into confederation, and it is also certain that the family was closely united politically at this point, with William’s Islander supporting James, and Joseph, a strong confederate, now colonial treasurer. But James was still first and foremost a commercial man, and it is entirely conceivable that his primary commitment was to the railway as a means of economic progress – a goal for which he was willing to contemplate confederation as an incidental result. Whether he would have advocated the railway without the certainty that Canada was eager to annex the Island (and thus would be available should the need for a financial rescue arise) is an interesting subject for speculation. In any event, by February 1873 the Haythorne administration felt compelled to send a delegation to Ottawa to negotiate terms of entry into confederation. The dominion government gave the Island generous treatment, considering the circumstances: there would be “continuous communication” with the mainland, the railway was to be taken over, the land question settled, the colony’s debts assumed, and the promised annual subsidy increased over the last previous offer. The Liberals decided to take these terms to the voters, and called a general election for 2 April. James Pope, who had been quietly attempting to lure dissident members of the Liberal caucus with concessions to the Roman Catholic Church over the school question, adapted his tactics brilliantly to the changed situation. He went on the offensive by declaring that the proposed terms were not good enough, and that the method of obtaining them was shoddy, and by accusing the Liberals of conspiring to manœuvre the people into confederation precipitately. He said that he would obtain much more for the Island, as he and his Conservative associates were personal friends and political brethren of Sir John A. Macdonald*. Pope won 20 of the 30 seats in the assembly, and after refusing to pledge to Governor Robinson that he would bring the Island into confederation regardless of the outcome of further negotiations, he proceeded to Ottawa with Haviland and Howlan. By persistence, they in fact won the promise of an increase of $25,500 in the annual subsidy to the Island. Prince Edward Island entered the Dominion of Canada on 1 July 1873. James Pope was elected on 17 September for Prince in the House of Commons, and in Ottawa supported the crumbling Macdonald government. By this time, however, the unstable political alignments of the Island had been severely shaken by Bishop MacIntyre. There had been a general increase in tension over the school question during the first half of the year. Anticipating that MacIntyre would attempt to gain concessions, in the knowledge that anything established in law prior to union with Canada would, according to section 93 of the British North America Act, be under the protection of the federal government, in the April election the Protestant constituencies had extracted from their candidates pledges to maintain the status quo. None the less, Pope had the political advantage of having in the past publicly expressed sympathy with the Roman Catholic position on the school question. Thus all 12 Roman Catholic assemblymen elected in April gave him support that was decisive. For a time Pope was able to maintain Catholic backing without having to act, thanks to the pledge he had had to give to his constituents in Charlottetown. But there was soon friction with MacIntyre; after learning of an attempt by the bishop in mid May to persuade Roman Catholic members to block confederation in the legislature until the school question was settled to his satisfaction, Pope responded by rescinding an informal promise to allocate $10,000 to the bishop’s schools (which he later said was to have been given “without any intention, whatever, of recognizing the principle of denominational schools”). MacIntyre then apparently raised such a furore behind closed doors that on 19 June the Pope–Howlan group made a private gift of $5,000 to the bishop. According to Pope and Howlan, this did not satisfy him, as a second $5,000 was not forthcoming. By August the bishop was denouncing his erstwhile political friends from the pulpits of his diocese. With his support, the Liberals won four of the six seats at stake in the 17 September by-elections. Pope declined to contest the federal general election of early 1874, in which the Liberals won all six Island seats, giving as his reason his belief that any Roman Catholic who supported him would incur “Episcopal censure” – and he had no desire to place his friends in such a position. 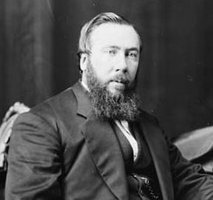 James Pope returned to the local House of Assembly on 5 April 1875 after being acclaimed a member for Summerside at a by-election. 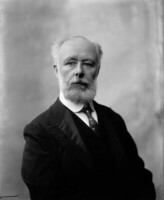 However, he did not enter the cabinet of his successor as premier, Lemuel Cambridge Owen*, and indeed maintained a position of relative independence. The major issue of the mid 1870s was the school question, and political alignments continued to shift. The Liberals had no intention of compromising on the principle of integrated, non-denominational schools, and, following their success in the federal election, had renounced their alliance of convenience with Bishop MacIntyre, having derived all the benefits they could without giving something in return. Over the life of the assembly, a consensus developed about the need for drastic reform of the educational system, which had been stagnating for several years; the difference of opinion centred on whether the imparting of religious instruction in the public schools was compatible with this goal. The provincial election of August 1876 was fought solely on the school question, with Islanders dividing into “Free Schoolers” (predominantly Liberals) and “Denominationalists” (almost exclusively Tories). James Pope led the latter group, and faced a difficult situation, for his rank and file disagreed among themselves over the extent to which separate schools should be instituted. Pope’s own position was that of his “Summerside card” of 1868, which he described as “accepting the assistance of the private schools” and “payment for results.” Differences of opinion between his Roman Catholic and Protestant supporters soon appeared, and the Free Schoolers won a decisive victory. Pope and his principal lieutenant, Frederick de St Croix Brecken*, were personally defeated in Charlottetown by the Free Schoolers’ leader, Louis Henry Davies*, and George Wastie DeBlois, a Tory. 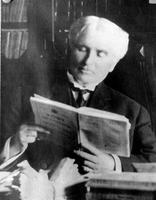 The reasons for the result, aside from Denominationalist divisions, were threefold: the brilliant platform abilities of the youthful Davies; the greater success of his party in making their campaign bi-partisan, by recruiting the aid of such long-time Tories as Haviland and DeBlois (both disillusioned supporters of Pope’s Summerside card); and, perhaps most importantly, a general public sentiment that the time had come for resolution of the school question, and a consequent impatience with Pope’s temporizing when compared with Davies’ refusal to equivocate. 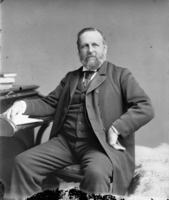 On 22 Nov. 1876, just over three months after his defeat in Charlottetown, Pope successfully contested a by-election for the federal constituency of Queens, in a campaign which provided the occasion for the Island’s first experience with voting by ballot. In Ottawa he displayed the pugnacity which had marked his entrance into the local assembly, and his intemperate language appears to have startled leading members of the Liberal government and the speaker, as he vigorously advocated cabinet representation for the Island and improved winter communications with the mainland. Perhaps it was appropriate that when the Tories returned to power in 1878, Pope was named to the cabinet as minister of marine and fisheries, with, among other things, responsibility for reporting on the performance of the grossly inadequate steamer, the Northern Light, which he had already denounced in the strongest terms, and which the Macdonald government did not replace or even redesign during his tenure. As a cabinet minister, according to his nephew Joseph*, who was also his private secretary, “He was not an office man, nor given to the regular and methodical treatment of correspondence.” Many of his surviving letters concern matters of patronage, including an attempt in 1879 to have his father appointed lieutenant governor of the Island. In the House of Commons, before and after coming to power, Pope defended the Conservative tariff policy as a means of applying pressure upon the United States in order to obtain reciprocal free trade, although admitting that it was unlikely the Americans would bend. He continued to describe himself as a free-trader by inclination and he warned Macdonald privately of the resentment among Islanders because of the unbalanced distribution of the costs and benefits of the National Policy. The death of his brother William in October 1879 apparently combined with heavy losses at sea and by fire in the late 1870s to contribute to a deterioration in Pope’s mental and physical health, perhaps a recurrence of a problem in the mid 1870s linked to business losses. 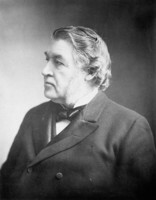 After the session of 1881 he took a leave of absence from the cabinet; by this time, according to his eldest son Percy, his business affairs were “in a very hopeless state.” Despite a rest in Prince Edward Island and the medical attention of, among others, Sir Charles Tupper*, he did not recover, although, out of concern for him, Macdonald and his colleagues agreed that he should remain in the cabinet. He did not contest the election of 1882, and indeed in the next year, at the request of Percy, was legally declared to be of unsound mind and incapable of managing his own affairs. He died in 1885, survived by his father, his wife, Eliza Pethick, whom he had married on 12 Oct. 1852, and five of their eight children. Although baptized a Methodist, James had been an Anglican for more than 30 years. Despite his many shifts in position on the crucial political issues of his era in Prince Edward Island, James Pope was a relatively uncomplicated man. 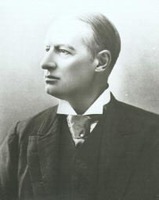 Chief Justice Sir Robert Hodgson* once provided Sir John A. Macdonald with an apt description of his attributes: “a man of good sound common sense, not very highly educated, of indomitable courage, perseverance and energy – proud and ambitious – what Dr Johnson terms ‘a good hater’ and of a very unforgiving disposition – a fair debater.” Like his older brother William, he had an iron will; he did not have the cutting edge of William’s intellect, but he was by far his superior in the handling of men and affairs. A highly successful entrepreneur known personally throughout a large part of the Island, he brought to politics the qualities which made him a force within the colony’s economic life. His primary political asset appears to have been his ability as a leader of men, and particularly the impression of personal vigour which he conveyed to those around him. Not a polished man, Pope had little patience with those he could not bend to his will; on more than one occasion he and George Coles, another aggressive entrepreneur, nearly came to blows in the house, and in 1876 he and a Liberal assemblyman actually fought on the hustings. In 1927 William Lawson Cotton*, a veteran Island journalist who had been close to James Pope in his heyday, wrote that, after Coles and Whelan, he “was the political leader who influenced most effectively the course of events in Prince Edward Island.” Yet his political record was not one of uninterrupted success. The $800,000 proposal of 1866, the Summerside by-election two years later, and his campaign tactics in the provincial general election of 1876 may have constituted lapses in political judgement. However, it is arguable that at least the second of these was a calculated gamble which opened the way for future advances. In several local issues in which James Pope played a major part – the railway, denominational schools, confederation – his relationship with his brother was an important consideration and prompted much contemporary speculation. Unquestionably, the two brothers disagreed on some matters of consequence: James was careful not to associate himself with William’s intemperate public attacks on Roman Catholic beliefs in the early 1860s, and he refused to follow his elder brother into the political wilderness over confederation after the Quebec conference. He was much less willing to close political doors behind him and make lasting enemies needlessly, which by the mid 1860s permitted him, rather than William, to play an active personal role in government. 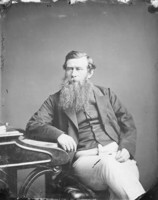 Although James entered politics in the late 1850s, he did not emerge as a Tory leader until 1865. After that, his enthusiasm for political life grew, and in the 1870s he was the dominant figure in Island politics. Together the two brothers rebuilt the Tory party, which had been shattered in 1864–65, and made it the vehicle for bringing the railway to the Island, and the Island itself into confederation; whoever was the mastermind, James, with his personal magnetism, played an indispensable part. The sincerity and motives of the Popes were frequently under suspicion. Concerning the school question, to whose resolution his contribution was largely negative, James was extremely flexible, for adherence to a specific policy was entirely governed by time, circumstance, and political opportunities. For years, confederation was for him a question of extracting sufficiently favourable terms from Ottawa. If there was one idea to which James was strongly wedded, it was economic “progress.” This is what various contemporary journalists meant when they wrote that he, a Tory, was “a man of liberal and progressive views.” And a railway, with whatever consequences, was a necessary part of any progressive community in the latter part of the 19th century. More than anything else, James Pope was the embodiment of the vigorous entrepreneur, with “great push and energy” in both business and politics. Indications of Pope’s views and debating style will be found in P.E.I., House of Assembly, Debates and proc., 1858–66, 1871–73, 1875–76; Can., House of Commons, Debates, 1877–81. Information on his public career, family background, business activities, and personality will be found in the following: Examiner (Charlottetown), 20 Nov. 1854; 11 Feb. 1856; 18 May, 1, 8 June 1857; 7 March, 11 April 1859; 24, 31 March 1862; 6 Aug., 1 Oct., 31 Dec. 1866; 4 Feb. 1867; 2 Feb. 1874; 5, 19 April 1875; 31 July 1876; 17 April, 14, 19 Sept. 1878; 17 Sept. 1879; 18, 19, 21 May 1885; 30 April 1889; 3 Sept. 1895; Herald (Charlottetown), 20, 27 May, 17 June 1885; Island Argus (Charlottetown), 12 March, 16 April 1872; 11 March 1873; 4 July, 22 Aug. 1876; Islander, 15 Oct. 1852; 19 June 1857; 28 March 1862; 23 March, 3 Aug., 12 Oct. 1866; 25 Jan. 1867; 16 Oct., 27 Nov. 1868; 6 Aug. 1869; 8 July, 21 Oct. 1870; Monitor (Charlottetown), 3, 27 June 1857; Patriot (Charlottetown), 30 June, 18 Aug. 1876; 17 March 1877; 18 May 1885; 3 Sept. 1895; Pioneer (Alberton, P.E.I. ), 29 Nov. 1876; Pioneer (Montague, P.E.I. ), 1 May 1880; Pioneer (Summerside), 19, 26 May 1885; Presbyterian and Evangelical Protestant Union (Charlottetown), 21 May 1885; Progress (Summerside), 2, 9 Nov. 1868; Protector and Christian Witness (Charlottetown), 27 May 1857; Summerside Journal and Western Pioneer (Summerside), 21 May 1885; Watchman (Charlottetown), 5 Sept. 1895. Material of relevance to Pope is scattered through the following collections of personal or family papers: the Tilley family papers at N.B. Museum (photocopies at PAPEI); the Sir John A. Macdonald papers at PAC (MG 26, A; mfm. at PAPEI); the Hunt coll., the Palmer family papers, and the Edward Palmer papers at PAPEI. Other manuscript sources of value include the following at the PAC: RG 42, ser. I, 150–71, 391–94, 462–63; at PAPEI: RG 1, Commission books, III: 1, 84–85; RG 6, Court of Chancery, Case papers, J. C. Pope, 1883; RG 9, Impost account, District of Bedeque, 1854; RG 15, Pope estate rent books, Lot 25, 1843–63; Lot 27, 1860–68; Lot 67, 1843–63; RG 16, Land registry records, Conveyance registers, liber 80: f.251; liber 82: ff.112, 556; liber 86: f.21; liber 87: ff.151, 231, 691; liber 89: f.904; liber 93: f.701; liber 97: f.846; Conveyance registers, Queen’s County ser., liber 9: f.142; liber 14: f.821; Land title docs., Lot 27, Leases, doc.314, 26 Jan. 1856; “List of rents due on township no.27” (1868); “List of tenants on half lot 27, with quantity of land held by each” (1868); at PRO, CO 226/88: 197–99; CO 226/104: 286–87, 312, 333–34. Relevant printed primary sources are as follows: CPC, 1876; P.E.I., House of Assembly, Journal, 1873, apps.A, EE; 1875, 29, app.E. ; [Joseph Pope], Public servant: the memoirs of Sir Joseph Pope, ed. and comp. Maurice Pope (Toronto, 1960), 19–23, 27–34, 69. Ian Ross Robertson, “POPE, JAMES COLLEDGE,” in Dictionary of Canadian Biography, vol. 11, University of Toronto/Université Laval, 2003–, accessed April 21, 2019, http://www.biographi.ca/en/bio/pope_james_colledge_11E.html.